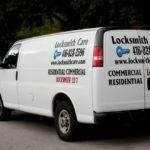 Locksmith Care » A commercial locksmith in Toronto – what is his activity different with? A commercial locksmith in Toronto – what is his activity different with? You have probably seen the phrase “commercial services” in the portfolio of professional companies performing ​​locksmith services. You have certainly been asking yourself, what is the difference between the ordinary and specialized commercial locksmith in Toronto for factories, offices, buildings, condominium and stores? Here we will look at the activity of locksmiths of this type. What is the main difference? Though the work of locksmiths for the most part involves the same operations, that of the locksmith offering commercial services is significantly more responsible. It is expected to provide protection for valuable company information and assets. In addition to repairing, replacing and re-locking locks, a commercial locksmith Toronto should also focus on enhancing security measures in commercial businesses in the region. The difference is not only in the nature of professional operations but also in the area of ​​action. While locksmiths and car locksmiths work mainly with private customers, commercial ones serve only businesses. Commercial clients, in addition to larger corporations, could also be manufacturing companies,offices, hospitals, restaurants, shops and educational institutions. Depending on whether a locking company is self-employed or engaged with a company contract, it may also accept calls from private customers for residential and mobile services. The majority of commercial locksmiths in Toronto offer a standard residential services. 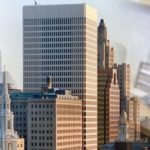 What are the typical commercial services? The installation of new locking mechanisms is a major service for commercial locksmiths. Here we are not talking about ordinary locks for the entrance and interior doors, but about the new generation lock – biometric terminals, electromagnetic locks, electronic card lock systems, etc. The commercial locksmith is also actively involved in the transfer of employees. When a staff member is released from work, he may refuse to return the assigned key. In this case, the locksmiths modify the locking system code in order to make the released employee identification key (card, chip, biometric data) inactive. Installation and maintenance of additional security systems is part of the services of the locksmith, including those operating in the territory of Toronto and the great Toronto area. From him is expected to assess possible risks and critical points and to propose an adequate solution. The maximum security protection activity also includes the installation of surveillance cameras, alarm systems and any technologies for monitoring the passage to the protected area. Good locksmiths are accredited to offer specialized products to their business customers, tailored to their individual needs and budget. Part of the commercial locksmith Toronto’s responsibility is to install and maintain Master key systems in business buildings. They provide access for staff to specific premises, while they are denied to enter certain areas. Installing safes is another service typical for commercial locksmiths. They are expected to provide the facility (safe /box) and install it, as well as to change the locking cipher when necessary and to unlock in emergency when needed. Commercial locksmiths have authorized access to a company’s security systems. That is why they undergo special training and are checked for a clean criminal record, on the basis of which they are issued a license certificate for the respective activity. Commercial Locksmith Services – What’s it specifics? 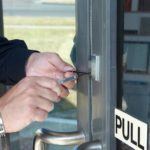 Why is it important to know a good commercial locksmith for factories, offices, buildings, condominium and stores? What security measures can a good qualified locksmith in Vaughan Ontario offer you? 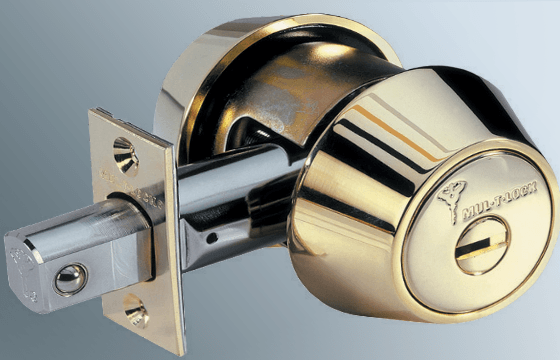 Commercial Locksmiths Toronto – What Services do They Offer? Mobile locksmith Toronto – why is it important that the locksmith visit us himself?